Apple Coffeecake With Cinnamon Brown Sugar Crumb Swirl has been a regular on our fall must haves for years. I originally made it with the Krustez Cinnamon Crumb Coffeecake mix for years until I had perfected this little gem.. It's perfectly moist and the cinnamon brown sugar crumb topping provides the perfect contrast to the tart Granny Smith Apples. I usually use whole wheat pastry flour to increase the fiber, but all-purpose flour works equally well I can never tell the difference in this recipe between the two flours. The cinnamon crumb swirl ensures a taste of the cinnamon brown sugar crumb topping in every bite. We love this cake for brunch or dessert and it's always a hit. This can be done by hand or in a mixer. Add 6 tablespoons Cold Butter, Cubed. 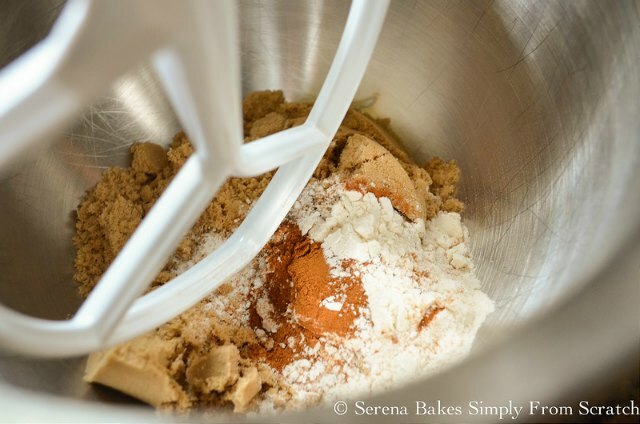 If using a mixer mix on low speed until crumbly, or cut in using a pastry cutter. 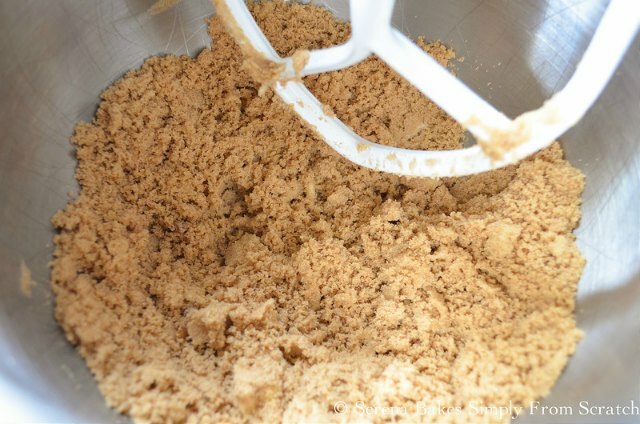 Mixture will form crumbs when pressed together. Set aside. 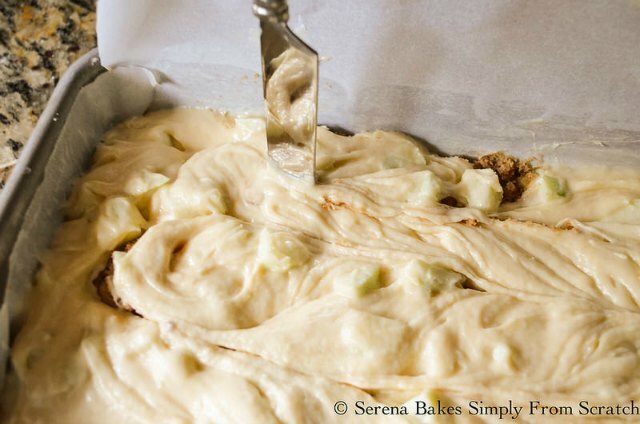 The cold butter helps add volume to the batter making for a lighter coffeecake. 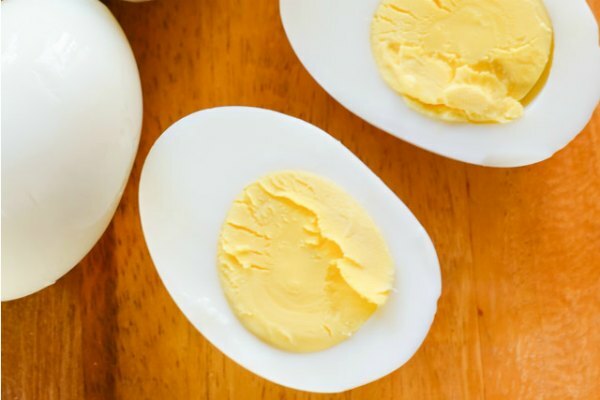 Add 4 eggs one at a time, scarping sides of bowl between each addition. Add 2 teaspoons Vanilla, and mix, until well combined. Tip: Whole Wheat Pastry Flour is a healthier option and no one will be able to tell it's whole wheat. Mix until just barely combined being careful not to over mix. Add 2 whole Granny Smith Apples peeled, cored and diced, about 3 cups. I like the granny smith apples because they are tart, and hold up well to baking. If they are too tart Pinovas are a bit sweeter, and always a favorite in baked goods. Butter a 9"x13" pan and line with parchment paper, butter parchment paper. 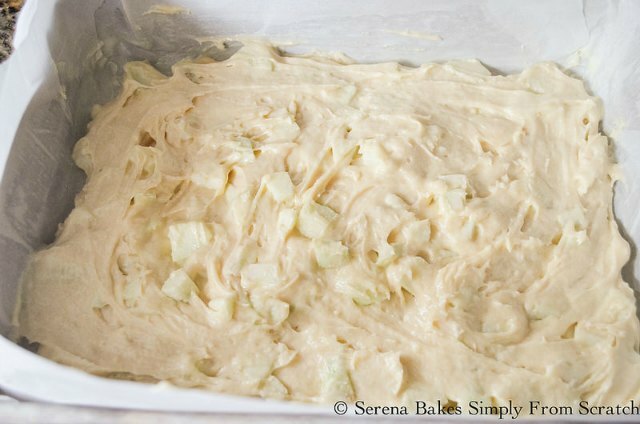 Spread 1/2 of the apple batter mixture over the bottom of the prepared pan. Press 1/3 of the Cinnamon Brown Sugar Crumb between fingers, and sprinkle evenly over batter. 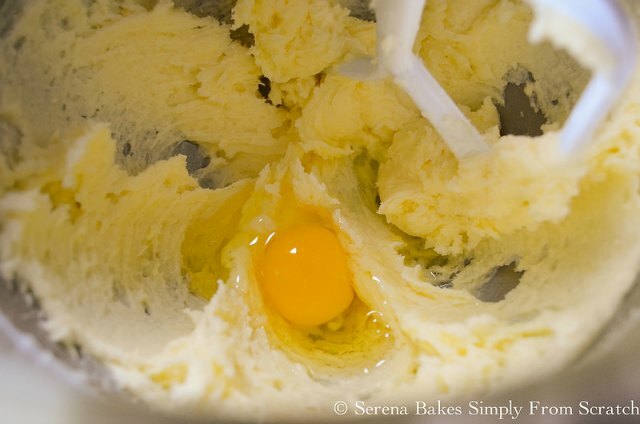 Spread remaining batter over the top, and use a knife to swirl batter. Press remaining crumb mixture between fingers, and spread evenly over the top of cake. Bake in a 350 degree oven for 55-65 minutes until a toothpick inserted into the center of the cake comes out clean. Cool before serving. Apple Coffeecake With Cinnamon Brown Sugar Crumb is all the things I love about the fall in each little bite. Apple Coffee Cake with Cinnamon Brown Sugar Crumb recipe from Serena Bakes Simply From Scratch. Butter a 9"x13" pan and line with parchment paper, butter parchment paper. Mix together brown sugar, flour and cinnamon. 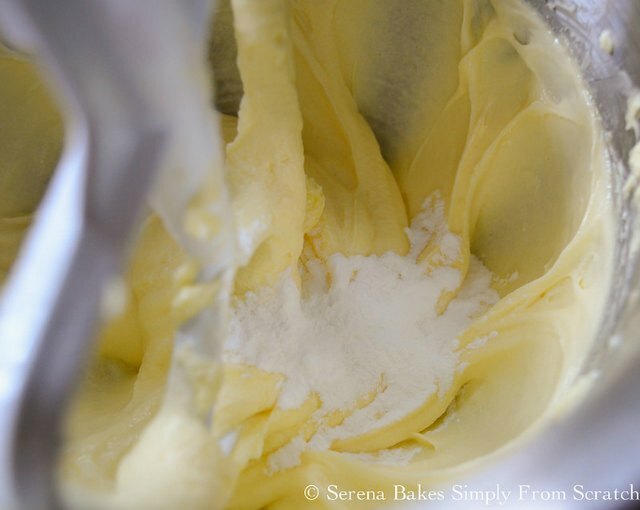 Mix using a mixer or cut in using a pastry cutter 6 tablespoons cubed butter until crumbly. 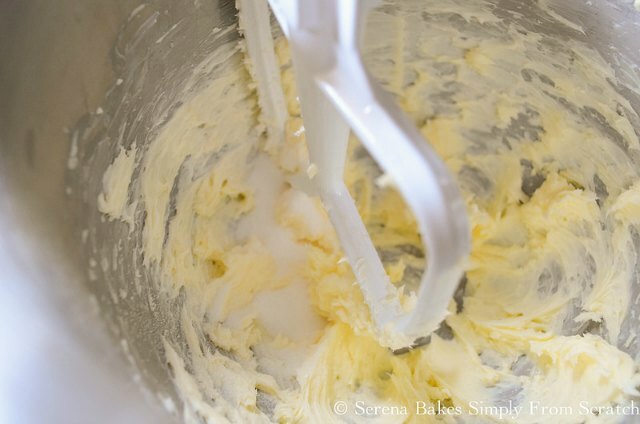 Add 3/4 cup cold butter to mixing bowl and beat until smooth and creamy. Slowly add sugar while beating at medium speed until light and fluffy. Add eggs one at a time beating well between each addition. Scrape sides of bowl between each egg. Then add vanilla and mix well. 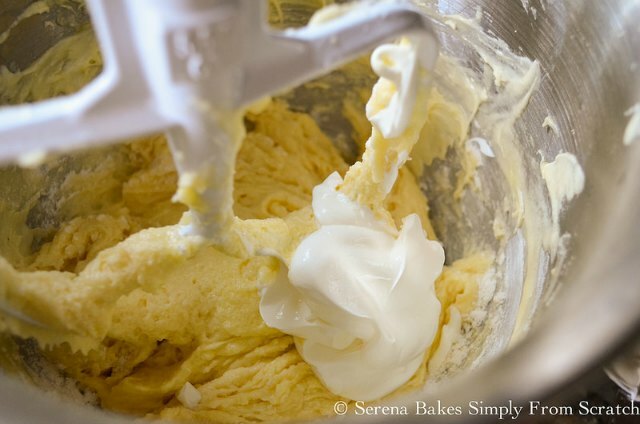 Batter should be light and fluffy. Add baking soda, baking powder, and sea salt. Beat on medium-high speed until well combined. Scrape sides of bowl. Add flour 1 cup at a time alternating with 1/2 cup sour cream mixing on low speed until just combined being careful not to over mix. Repeat until all of the flour and sour cream has been added. Mix in diced apples until evenly distributed. 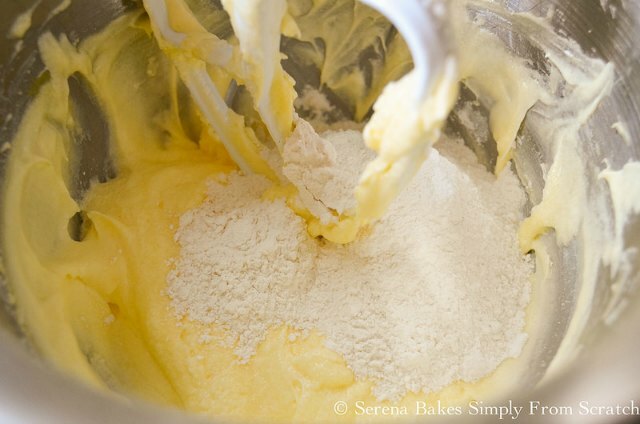 Spread half of the cake batter into the bottom of prepared pan and spread to the edge. 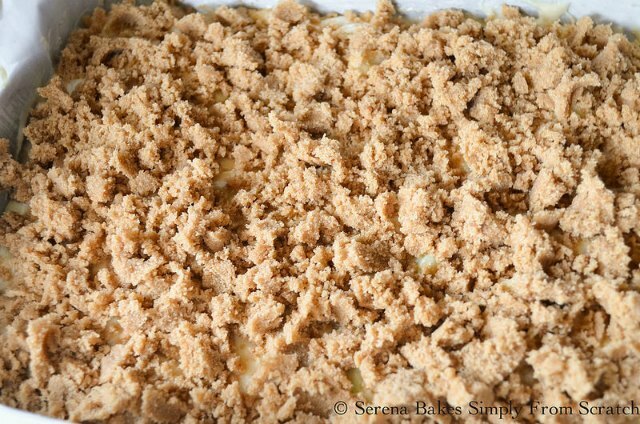 Spread 1/3 of of the Brown Sugar Cinnamon Crumb over the batter and cover with remaining apple coffeecake batter and use a knife to swirl in cinnamon crumb topping. 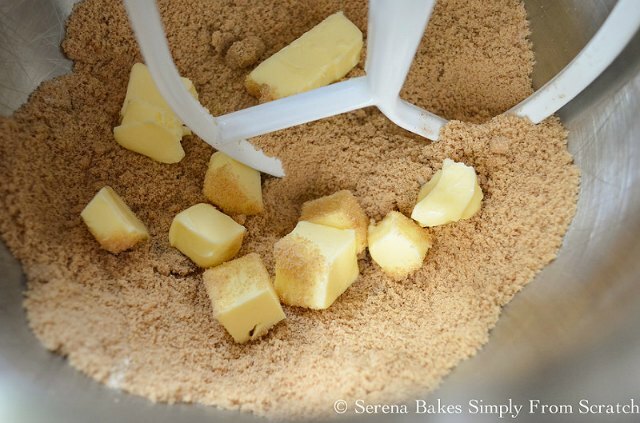 Press brown sugar crumb topping between fingers to form crumbs and distribute evenly over the top of the cake. Bake for 55-65 minutes or until a toothpick inserted into the center of cake comes out clean. Wow, you always have the most amazing, delicious-looking coffeecake recipes!! This one sounds perfect for fall - I'm planning to go to an apple orchard soon, and then I'll have to try this. 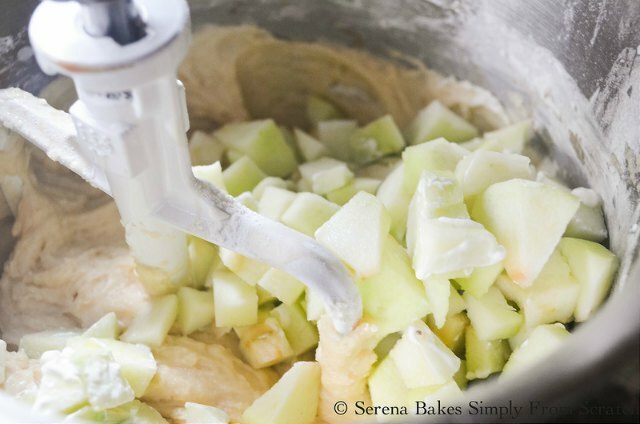 Apples and cinnamon are a classic flavor combination for a reason...it's irresistible! Such a perfect fall breakfast! Love the cinnamon brown sugar crumb! Love how you swirled some of the crumb in! Yum! Looks like a great fall treat. I love this cake recipe! Thank you! That looks delicious! There's nothing like fall apples. I can't wait to try this! I would love to have this for breakfast this weekend! It looks fabulous! G'day What a great cake from scratch! Great photos! 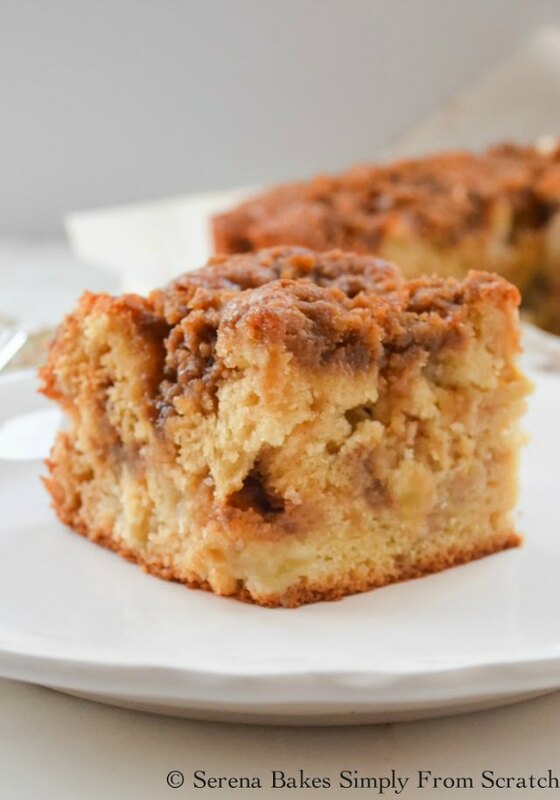 Mmmm, there's nothing I love more than a big slice of apple coffee cake! This looks divine! I love how you added the crumb into the middle of the cake...YUM! 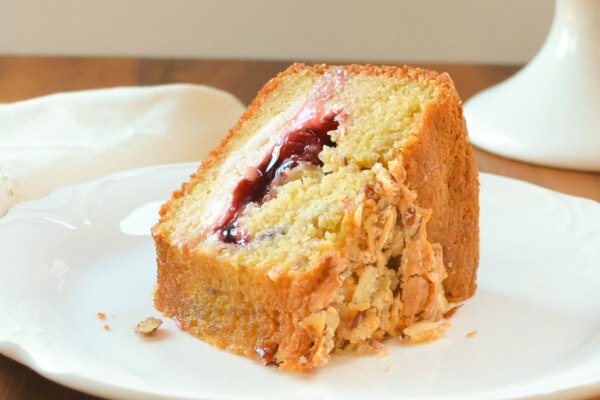 I love a great coffeecake and this looks so good, would love a square right now!! Awesome fall flavors in a delectable treat! Perfect combo!! Oh, yes!!! This is right up my alley too! I have company coming next weekend, on the list! Nothing says the holiday season like cinnamon and coffee. This recipe is going on the menu for Thanksgiving. Oh yeah... I could handle a piece of this right now! Why can't all these people wait until they actually make the recipe before commenting on how good it looks and sounds? We would much rather hear how good it was in reality and comments on the recipe from real live experience. Way to many sounds good and not enough was really good. I'm sorry you feel this way. Let me know if you have any questions I can help you with! I made this today! It is excellent! I used no fat Greek yogurt. I highly recommend this recipe if you like apples and cinnamon! Thanks Pixie! I'm glad you enjoyed it as much as we do! Did you simply omit the Greek yoghurt or sub it? After 42 years making Dutch applecake.I love to try tomorrow this cake.It looks great.Thank you Lenie. Hi! Went apple picking a few days ago. Would love to make this before the apples start turning. Can this cake be frozen? 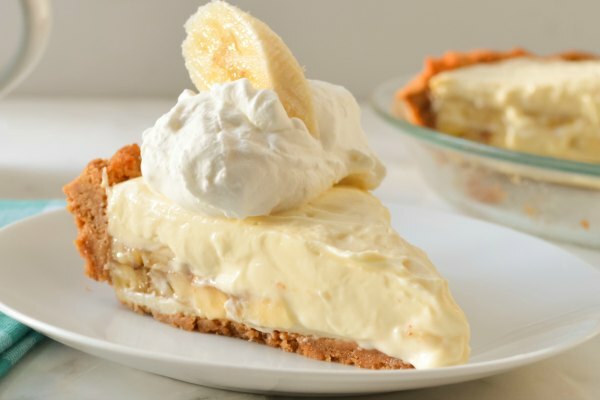 Hi Serena, I'm a newbie baker and came across this recipe on Pinterest. Thought I'd give it a try. Easy enough, but so greatfull for your explicit instructions and photos! And also for the fact that I own the old version of the Kitchen Aid stand mixer, a true work horse. The end result was nothing short of amazing! I don't eat sweets, but my husband gave it a 9.9 out of 10. Hoping this freezes well because it makes a big cake. Thanks for the recipe!! Do you think some oats in the crumb would be a good idea, wondering if you anyone has tried it? Made this for brunch this morning; it filled the house with a wonderful aroma while baking. Took about 60 minutes in my oven. It was delicious; I love that even with that amount of brown sugar swirled throughout and on top, it wasn't overly sweet. It was great with a cup of coffee; thank you for sharing! I could totally eat this whole pan! 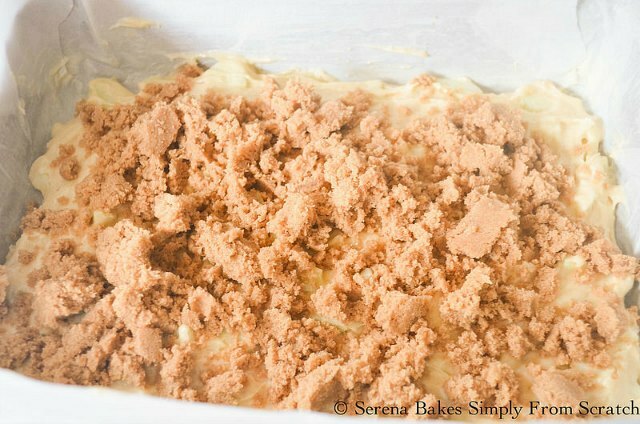 I can't wait for my next excuse to bake up a coffeecake as THIS will be it! It looks terrific, Serena! You need to put a warning in the recipe! Only make if you own a very good stand mixer! Almost impossible to make without one. To say 20 minutes for prep without one is outrageous! Wondering if using a bunt pan would work and what adjustments I would have to make for it to work? Any suggestions?